About your local scrap metal merchants & waste disposal specialists. At MattMetal we specialize in waste disposal and pride ourselves on impeccable customer care, providing a friendly and reliable service. 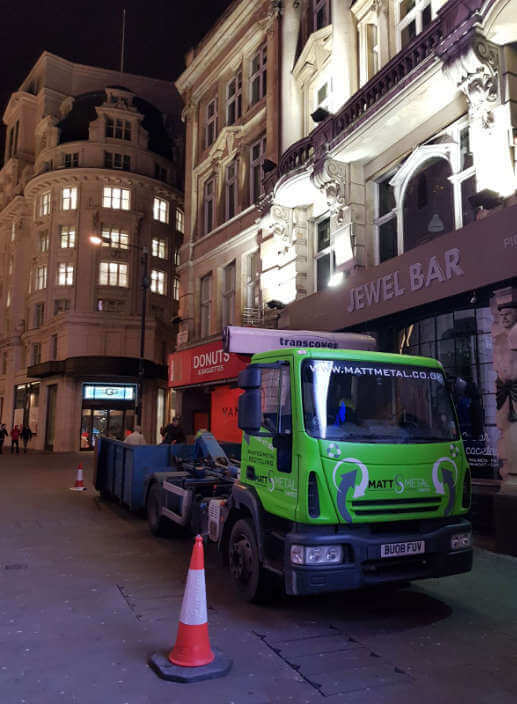 Our rubbish removal expertise coincides with a large customer base and we have maintained this trusted network to encourage stability and growth to generate business within the UK. Selling your metal scrap to Matt Metal ensures you’re provided the most competitive metal scrap prices and whilst this has financial advantages, our team will also make sure our waste recycling methods are beneficial for the planet. Bringing your metal scrap to our scrapyard will protect natural resources but our environmentally friendly methods will reduce pollution and minimize hazardous materials in landfills. At MattMetal we take waste disposal and scrap metal recycling very seriously and ensure we adhere to scrap metal recycling and surpass all environmental legislation. We make commitment to ensure that your metal scrap undergoes a thorough de-contamination process - this makes sure all hazardous materials are removed in accordance with Environment Agency guidelines. This process ensures MattMetal are protecting the environment for future generations. Subsequently the controls and systems we have in place to protect the environment, have maintained a respected reputation amongst our clients. We hope that our friendly team can provide you a service to be proud of, we care about how we process your metal scrap and we care about the environment. We strive to provide you the most competitive metal scrap prices based on daily rates. Once we have received your metal scrap we will offer you a same day transfer payments! At MattMetal we always ensure we have classified your scrap metal collection in the right order. When it comes to weighing your metal scrap, we stress integrity and transparency and we ensure acScurate weighing. We believe it’s pivotal that when it comes to waste disposal and rubbish removal our staff acts in an efficient and professional manner. We are fully flexible, we will accommodate your needs in order to efficiently sort your collection. Our team is friendly and approachable and we’re willing to share our expertise. Our friendly drivers are able to assist you with your waste disposal and rubbish removal requirements.